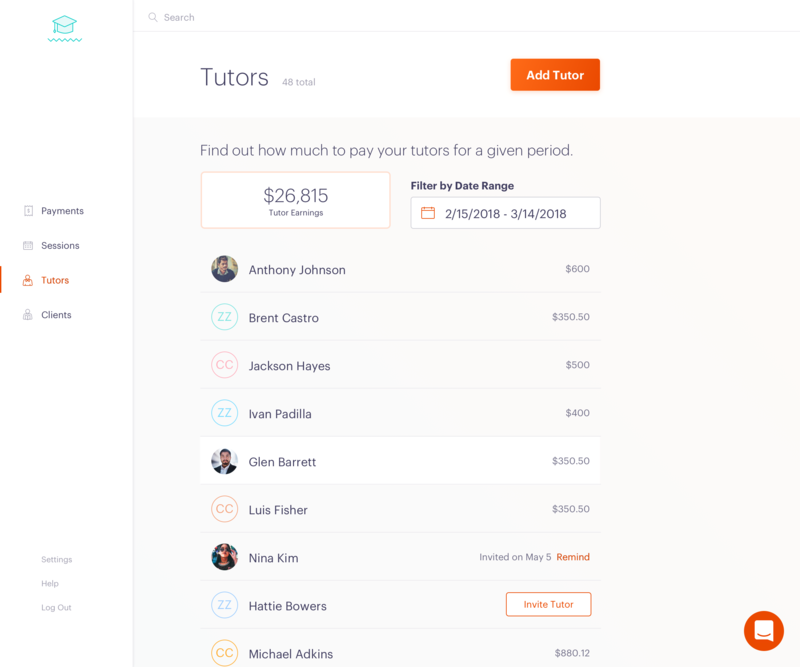 Manage all of your tutors in one place. This is where you will find a list of all your tutors using Clark. There's also a search bar at the top of the page for quickly finding a tutor. From here you'll be able to see tutor earnings, add/invite tutors to Clark, and view an individual tutor's details. Similar to the Clients page, you'll be able to select a tutor in order to view their credentials as well as information on their current engagements. 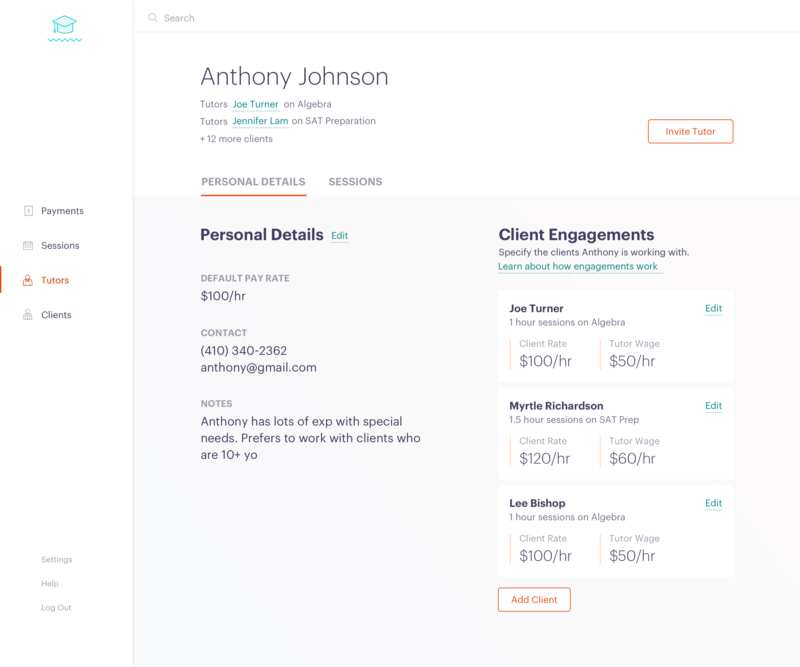 Current engagements are listed on the right while personal details - such as Default Pay Rate, contact information, and internal notes are on the left. You can update these details at any time. In 'Sessions' you'll see a comprehensive list of all of Anthony's sessions logged on Clark. At the top of your list of tutors, you'll notice a field labelled Tutor Earnings. In the example above, the total amount of money tutors earned between February 15 and March 14 was $26,815. You can edit the Date Range to reflect any range you like. Tutor Earnings for a given time period reflects the amount owed to your tutors in pay roll. 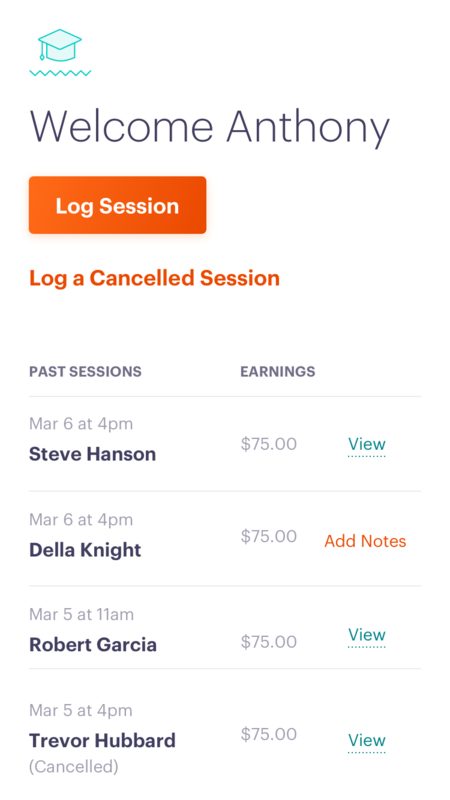 When a session is logged, tutor wages for that session count towards this overall number. On the far right you'll see the amount owed to each tutor in that date range. If you're working with a new tutor for the first time, you'll need to add them to the system before creating an engagement with a client. *Note: A tutor's Default Tutor Wage is only visible to you and the tutor you're adding. Clients will not have the ability to see their tutor's hourly wage. Once a tutor has been added to the system, you'll need to invite them so they have access to the full range of services on Clark. 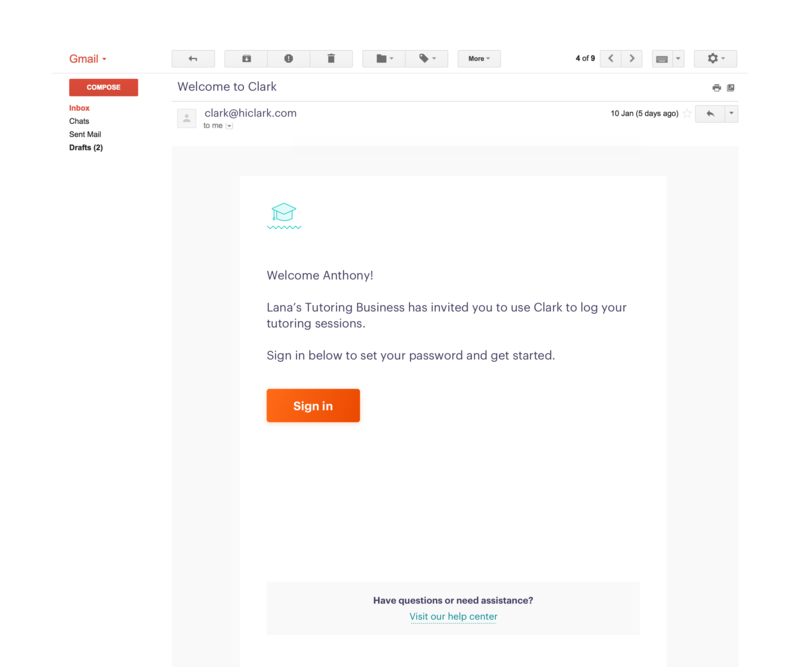 When you do, they will be sent an email with an invitation to create an account. The email is addressed from you, the admin. 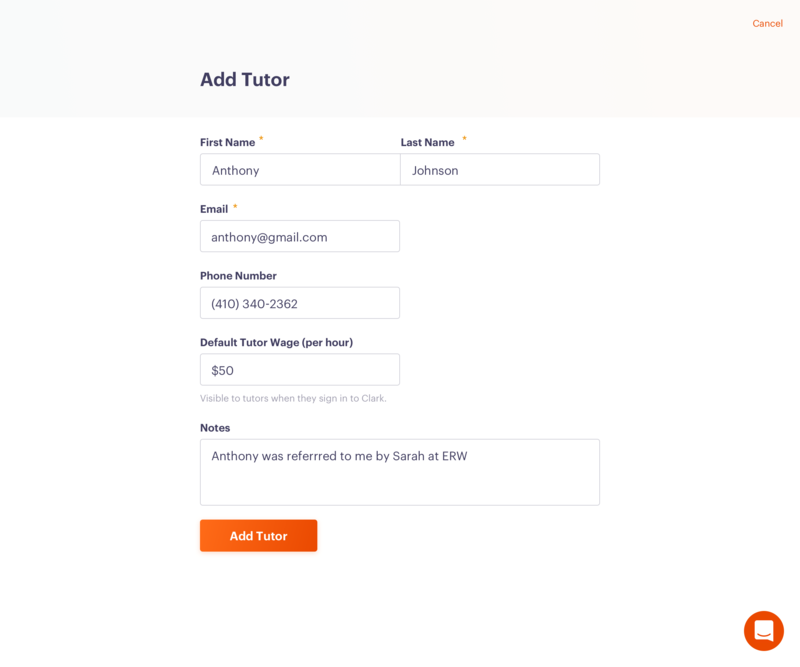 When your tutor completes sign-up, they will be able to view their list of clients and log sessions as needed. To learn more about how your tutors will use Clark, click here.